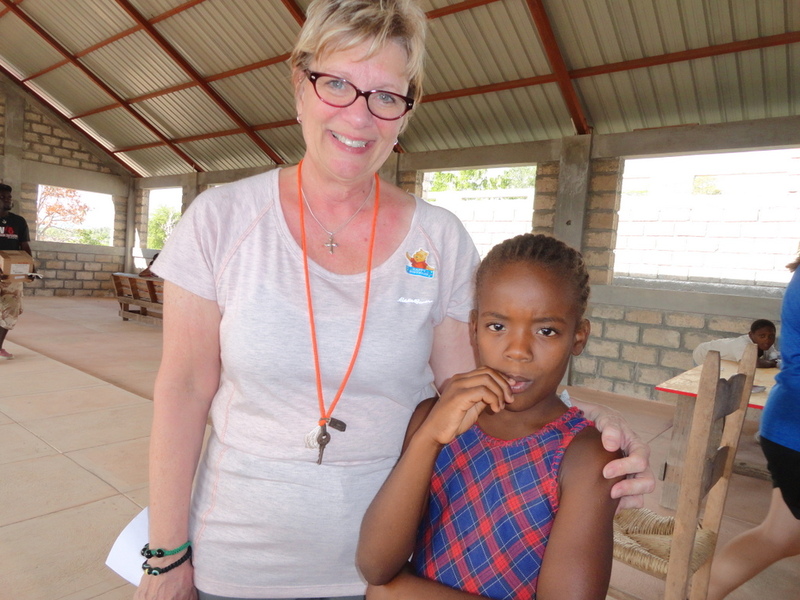 Seeds of Support Mission: Haiti – A ministry of St. Andrew Lutheran Church in Eden Prairie, we faithfully accompany Redeemer Lutheran Church in Pasquette, Haiti for mutual growth and fulfillment. 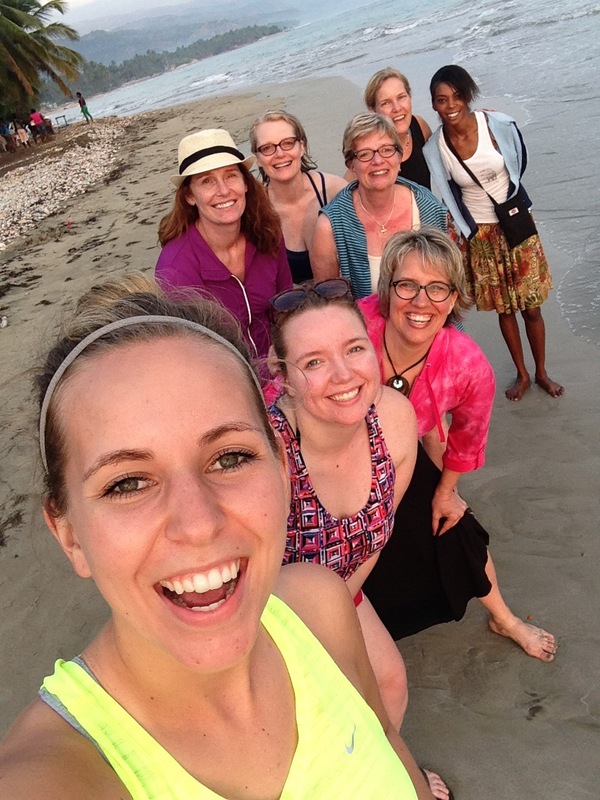 A ministry of St. Andrew Lutheran Church in Eden Prairie, we faithfully accompany Redeemer Lutheran Church in Pasquette, Haiti for mutual growth and fulfillment. Ashley poses with Marilyn and Vierge in front of two suitcases holding prison ministry supplies. While we were unable to go to the prison to drop off the supplies, Redemption Congregation regularly makes visits to the local prison as a ministry of their congregation. Thanks for the donation of supplies from our supporters in MN and ND! in spite of limiting resources. 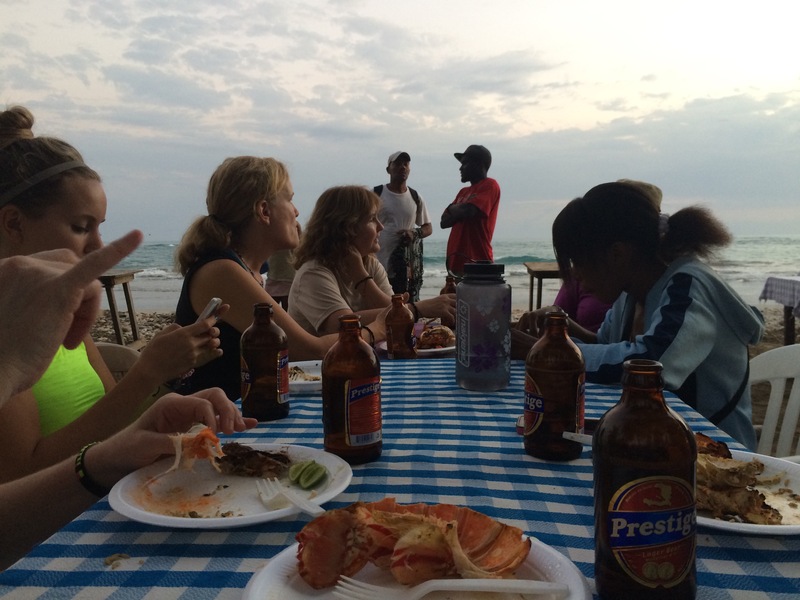 A true Haitian experience of food, music and fellowship on the beach for our last night in Jacmel. 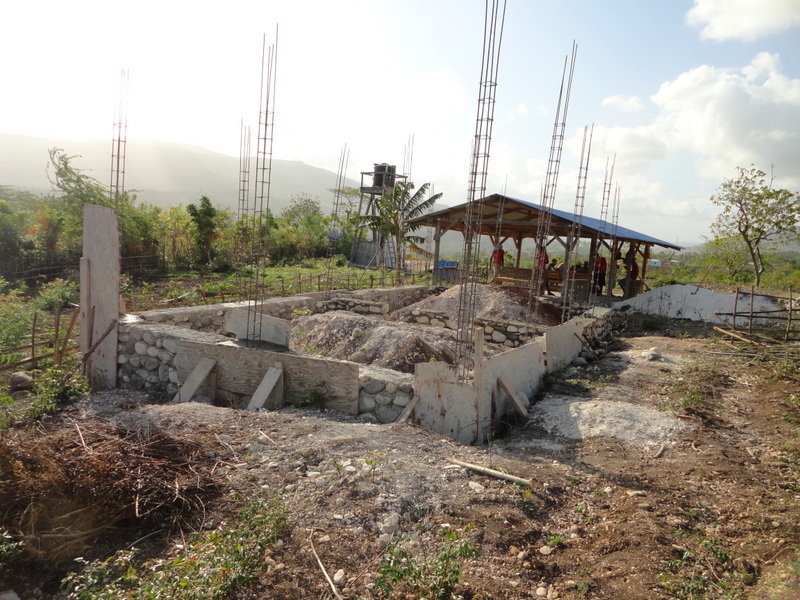 Progress has been made on the multipurpose building being constructed to house small businesses for the benefit of the community. In this picture the foundations has been laid and and awaits the return of the workers of the community. All workers on the building are volunteers. 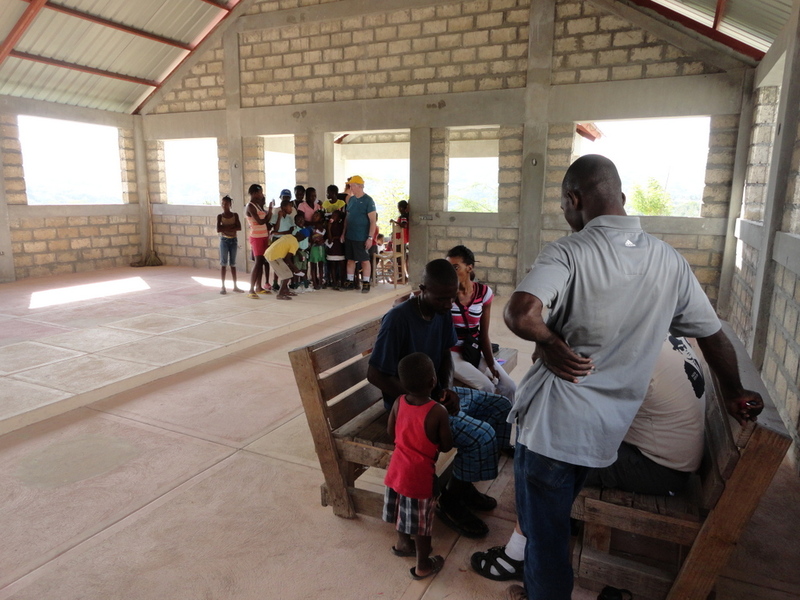 Redeemer Congregation in Pasquette hosted today’s clinic for the community. Here are a few pictures of the event. With the chlorinator installed on the solar-powered water well, bacteria-free drinking water is now available in the village. 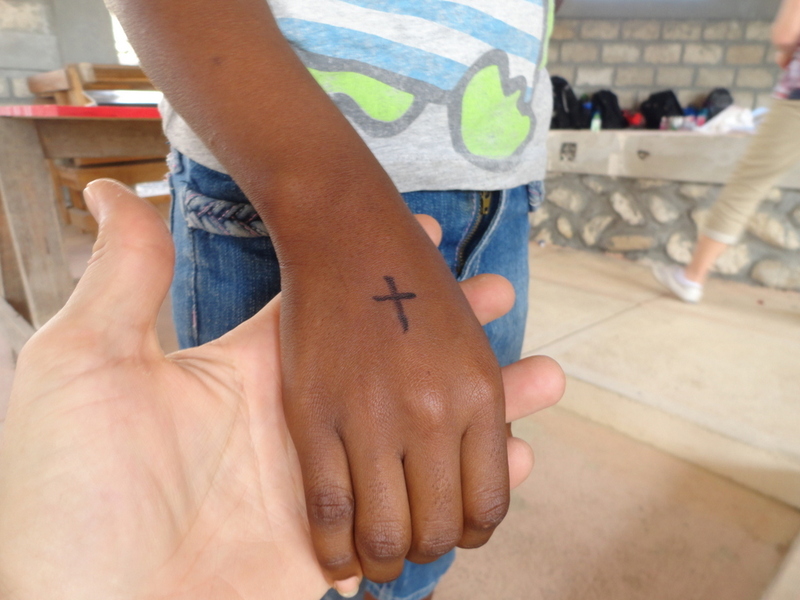 Today, our mission treated the entire community with de-worming medication and marked each recipient with a cross on their hand to avoid re-treatment. 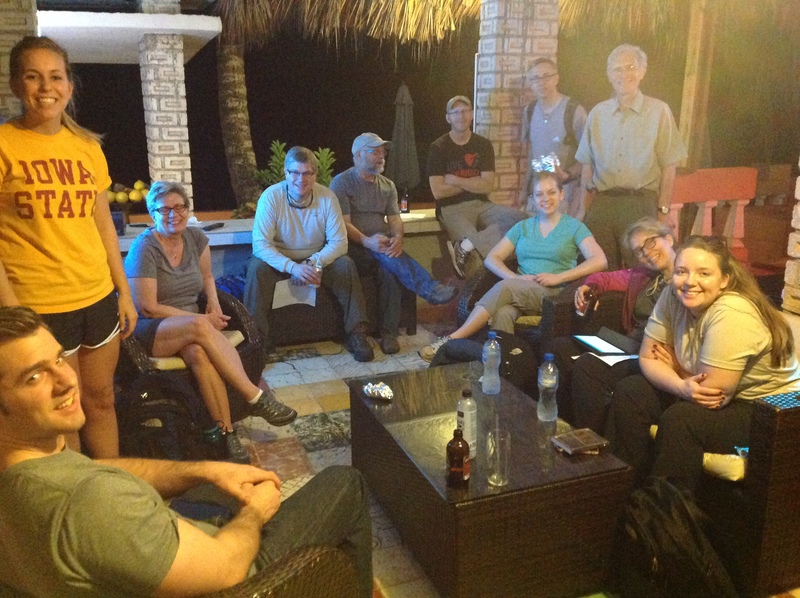 After spending time at Pasquette each day, our mission team gathers at the hotel bar-area for some down time.